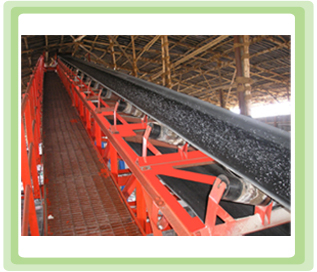 A Belt Conveyor consists of a body of a metal frame with pulleys at either end and bed of rollers in between. Belt is looped around each pullies. When one of the belt is powered by electrical motor, the belting slides across the rollers there by moving the product on the top of the belt. We have technical capabilities to design, manufacture and commission belt conveyors with various bulk densities, moistures, atmospheric conditions and corrosive properties. 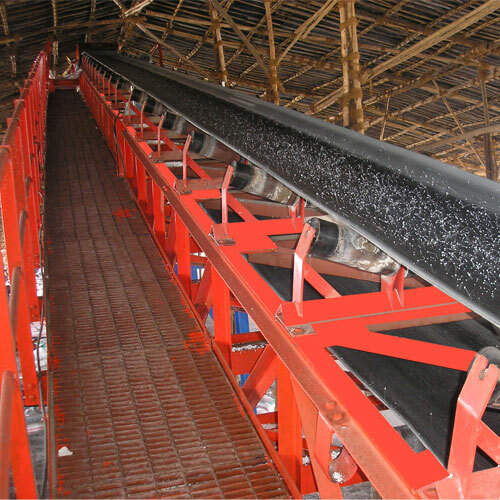 We manufacture belt conveyors with capacities up to 5000 TPH.